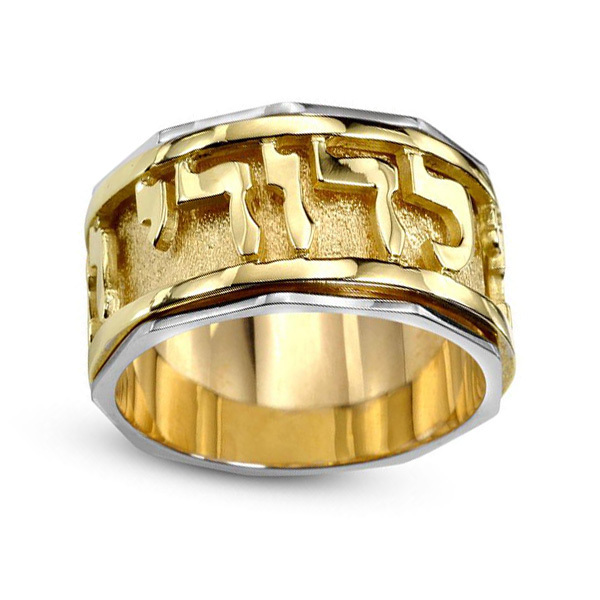 Present your loved one with this amazing two-tone gold band of love. 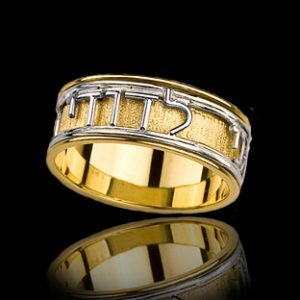 Words of love are engraved by hand to reveal a layer of textured gold below. 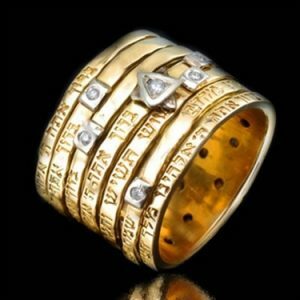 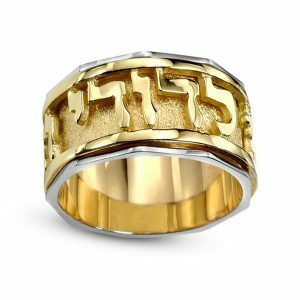 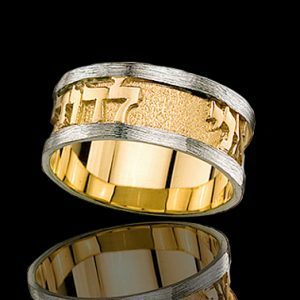 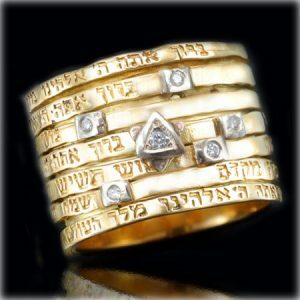 The words are the phrase from King Solomon’s biblical ode to love and devotion and reads “Ani L’Dodi V’Dodi Li,” meaning, “I belong to my beloved and my beloved belongs to me.” The phrase, an ode to romance, is bordered in sleek white gold. 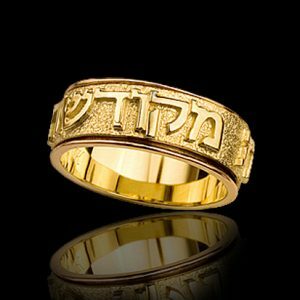 Bestow it on your beloved on any occasion, especially when you want to confirm your special relationship.